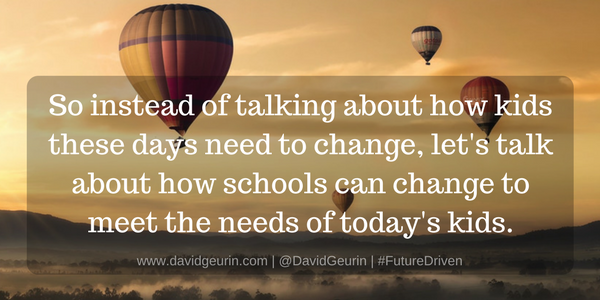 The @DavidGeurin Blog: Are Today's Kids Different? Sometimes I hear people complain about kids nowadays. I can tell you it doesn't really set too well with me. Sure, there are examples of kids making poor choices. There are kids who are lazy. Some are selfish. We know they are into their devices. But hey, so are we. And there are some challenges they have now we probably didn't have when we were growing up. But I can tell you I'm going to defend our kids. I'm going to challenge them, but I'm also going to defend them. I'm going to remind everyone of the amazing things our students are doing. I'm going to share the incredible work of the ones who are leading up and lifting up every day. They are making our school a better place. They are making our world a better place. And even when they make mistakes or show up with all the baggage any of us can bring, I'm not going to stop believing in them. They are the future. Most kids want to do the right thing. But like all of us, they are still learning and finding their way. And some of them haven't had the best examples. They need someone to lift them up and believe in them. I can tell you with certainty, you'll have far more influence on kids by believing in them than by doubting them. If you want to make a difference, stop doubting kids. They're not going to rise above your low expectations. They need you to believe in them. Today, we held our semi-annual academic banquet to celebrate the success of some of our students. I know some people on Twitter have written about not having award ceremonies and that type of thing because it can reinforce a fixed mindset and not acknowledge the growth of other learners who are achieving but may never get recognized. I get it. We need to notice the good work all students are doing. But at the same time, I'm not going to apologize for recognizing kids who have achieved at a high level. They even had to miss part of the Kansas City Chiefs (Go Chiefs!) game to join us for lunch and a short program. It's a great opportunity to interact with parents and say thank you. 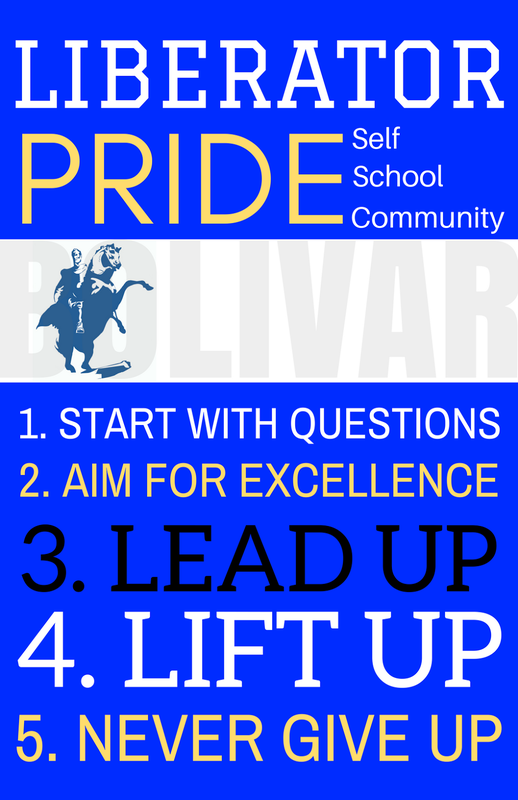 I asked a few students on short notice to talk about the Bolivar Way (see the visual below). It's become our mantra. It guides most everything we do. I was blown away by the comments our students had about the importance of questions and curiosity. 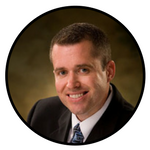 About making excellence a personal mission and doing your best. About lifting up others and being a great friend and teammate. About leading and showing others the way. And to never give up even when it's tough. I was amazed by the comments and was totally pumped about this year and what's happening in our school. 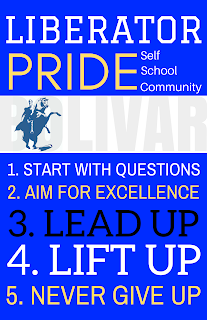 Our students are "making us better." I'm so proud of them. So if you want to complain about kids these days, I'm probably not the person who is going to commiserate with you. But what I would like to talk about is how things are different today than when we were kids. Things seem increasingly complex and uncertain. Change is accelerating. The ability to adapt and learn is more important than ever. 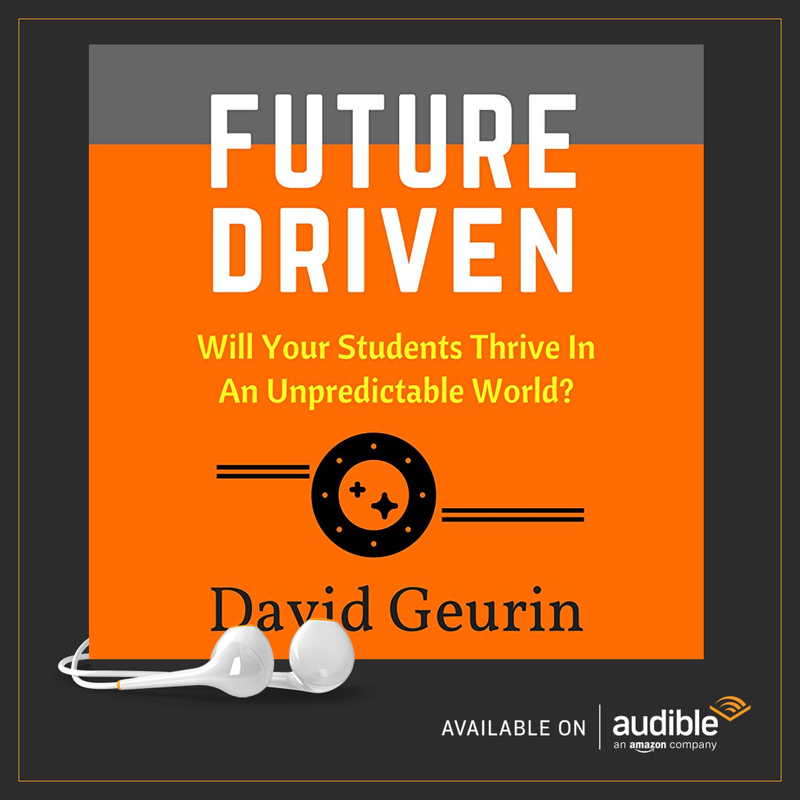 So instead of talking about how kids these days need to change, let's talk about how schools need to change to meet the needs of today's kids. We owe it to them to teach the enduring principles that will help them succeed. And we need to teach them the skills that are going to be uniquely necessary for this generation. Let's challenge the status quo at every turn and build on the positives. Let's create schools that are relevant and passionate. Fill your school with laughter, hope, friendship, purpose, curiosity, creativity, and togetherness. 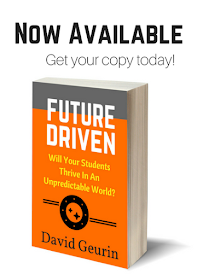 What kind of culture does your school have? Are you complaining about kids these days? Or, are you investing in kids these days? I want to hear from you. Leave a comment below or respond on Facebook or Twitter. And keep being great!